Of all the sources of renewable energy that you can use in your home, a hot water solar heater provides the most energy savings relative to the investment required to get it up and running. When most people think about solar energy, the first things that come to mind are the solar panels that generate electricity called photovoltaic. A photovoltaic system is 15-20 percent efficient at converting the sun’s energy into electricity and its performance is significantly reduced if it’s partially shaded by a tree or a nearby building as shadows move throughout the day. A hot water solar heater is 60-70 percent efficient at converting the sun’s energy into an increase in water temperature. An array of solar panels that produce 1Kilowatt of energy per hour costs between $6,000 and $8,000. A solar hot water system capable of creating a comparable amount of hot water costs between $2,000 and $2,500. Homeowners that can’t justify a photovoltaic system should consider a hot water solar heater. Even in the warmest locations the temperature of the water may need to be elevated by over 40 degrees F.
Now imagine taking that garden hose, coiling it back and forth, and putting it inside an insulated glass box on your roof where the sun can be captured and magnified.A hot water solar heater actually uses cooper piping and not rubber hose and inside it is like an oven with a coated glass surface to allow the sun’s ray in but not out. The box is insulated to allow it to retain the maximum amount of heat. This unit is referred to as a flat plate solar collector. 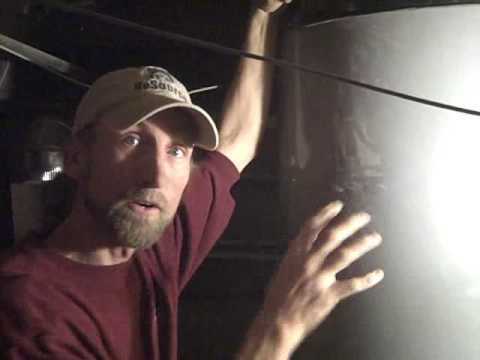 Another type of solar hot water heater has no box but instead uses glass tubes to contain the piping in a vacuum called evacuated tube collectors. These heating systems perform better in lower sunlight conditions. Solar collectors do not need to be mounted on the roof but they do need exposure to sunlight. They call be mounted on the exterior wall of a home or even on the ground. Congratulations, you now understand how a hot water solar heater captures the sun’s energy. Read on to learn how that energy is transferred to the water in your home. There are two types of hot water solar heaters: closed loop and open loop. The fluid in the piping of a closed loop solar collector never leaves the system and it is not the actual hot water that you will use in your home. 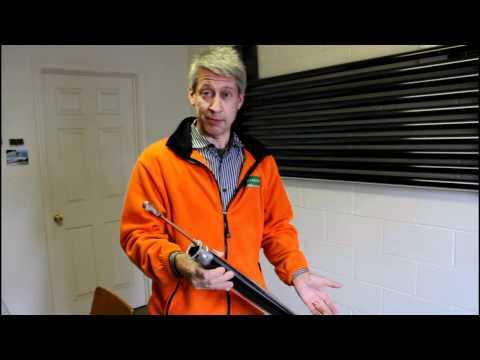 A closed loop hot water solar heater heats a fluid, typically a glycol and water mix, which is similar to the fluid in your car’s radiator, and transfers that heat to water in a special hot water tank that has a heat exchanger inside of it. The heat exchanger, in this case, is a big coil of double-walled piping that is exposed to the water in the tank allowing the heated glycol and water mix to transfer its heat to the water in the tank. A pump circulates the glycol and water mix, which transfers its heat to the water. Afterward, the cooled mix is returned to the solar collector to be warmed again. The tank also has electric back up heating elements or a gas burner to allow it to elevate the water temperature further if needed or to provide hot water when the hot water solar heater cannot. The diagram below shows a closed loop hot water solar heater. The term “active” in the description refers to the fact that a pump is required to circulate the fluid in the closed loop. A small photovoltaic panel can be used to run the pump or it can be operated from the home’s electrical power. Closed loop systems are used in colder climates where there is risk of the water in the solar collector freezing in the winter and damaging the piping. This allows the system to be used more often during the year. An open loop hot water solar heater raises the temperature of the actual water that you will use in your home directly and hence is open to your water supply. There are two types of open loop passive hot water solar heaters: Integrated Collector Storage Systems (ICS) and Convection Heat Storage Systems (CHS). The Integrated Collector Storage (ICS) System is also called a batch heater since it heats water in a single batch and its tank acts as both the storage for the hot water as well as the solar collector. The ICS is basically a rectangular water tank encased within a glass front container to magnify the sun’s energy. The advantage of the ICS system is its simplicity. The ICS system is only suitable in moderate climates with strong sunshine because it is more difficult to heat and maintain the temperature of the higher volume of water contained in the tank. The convection heat storage unit (CHS) uses a solar collector and a secondary tank. It is more efficient to heat a smaller amount of water and then transfer it to the storage tank. If the secondary tank is located above the solar collector, it’s called a thermosiphon because no pumps are used to drive circulation, rather convection moves the hot water upward naturally. Since a CHS system utilizes a secondary tank, installation requires that the roof be strong enough to support the extra weight. A CHS requires less sunshine than the ICS and can be used in a broader number of climates and locations. Both of the systems described above are referred to as being passive because they don’t require pumps to circulate the water. Open loop systems are more applicable in warmer climates where temperatures below freezing are less likely. If installed in an area with a colder climate, the open loop system will need to be drained during the winter months to prevent damage from frozen water lines and will only provide hot water in the warmer months. 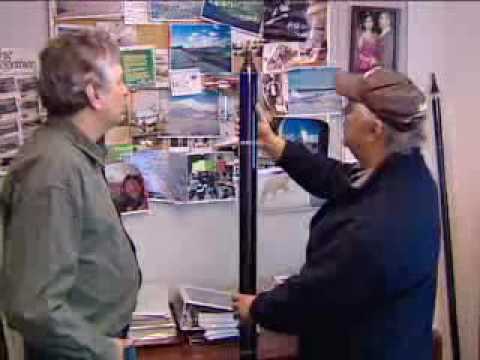 You might still be thinking that hot water solar heaters are only for warm climates but I think the Canadian video below might just change your mind. I got cold just watching it!